From big beginnings, small business happens. 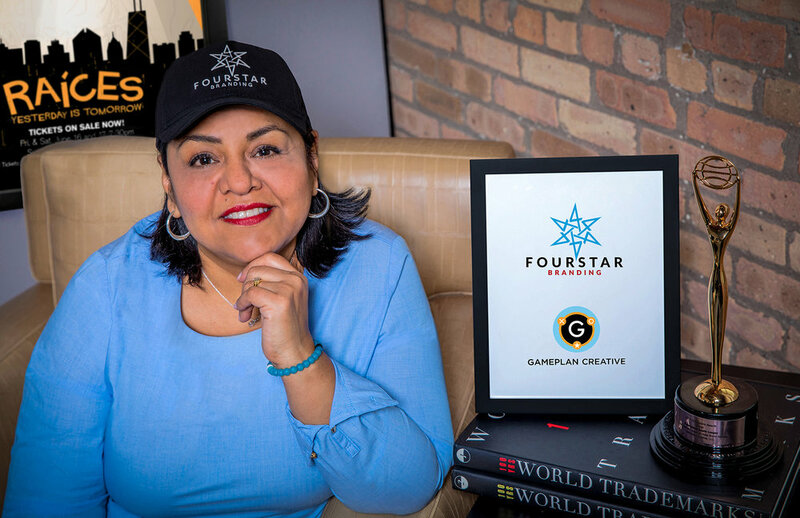 That's FourStar Branding's story -- and mine. Coming full circle from working with big players like MARVEL, McDonald's and Big Pharma, I'm now devoted to elevating small businesses. Punctuated by decades of delivering the best in branding and marketing to Fortune 500 companies, I've assembled a unique team positioned to do the same for today's nonprofit and small business enterprises. Four pillars of performance inspired by the four stars in the City Flag of Chicago. They signify our promise to make blue-chip creative services attainable to the broader base within small business communities. Precise steps, those that guide and inform the successes our clients have come to enjoy, stem from a continuum of highly strategic and finely crafted marketing disciplines. FourStar Branding’s project cycle is designed to place you on a path toward extended reach and continued business growth.